Student Affairs & Enrollment Management will host a meeting at 2 p.m. today, Oct. 19, with students to discuss how they can assist with the search for Antinette “Toni” Keller. The informational session will take place in the Stevenson Towers Multipurpose Room. Led by Mike Stang, the executive director of Housing & Dining, staff and students will discuss coordination of the interest and efforts of students with the investigative work being conducted by NIU police. Keller was last seen by friends around noon Thursday, Oct. 14. She reportedly told friends that she was going for a walk in a area adjacent to West Lincoln Highway near the Junction Center retail complex. She is a white female, 18 years of age, 5 feet 6 inches in height, approximately 130 pounds with brown hair and blue eyes. She was last seen wearing blue jeans, a gray jacket, and a scarf. 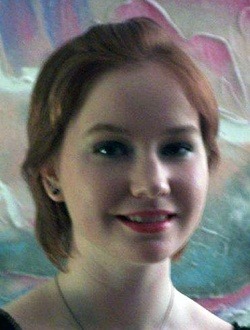 Ms. Keller was believed to be carrying an art portfolio and a professional camera. Anyone who might have seen, or who might have information on, a person fitting the above description is asked to please contact the NIU Department of Public Safety at (815) 753-1212.